Entrepreneur and CEO Jonathan Snyder talks about the struggles and victories everyone with a great idea will encounter. 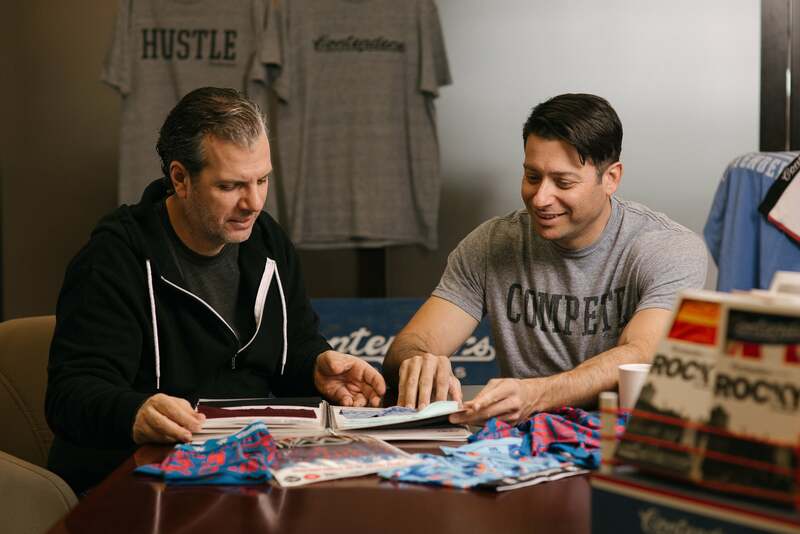 My name is Jon Snyder, I'm CEO and co-founder of Contenders, a licensed apparel company featuring uniquely designed and supremely comfortable boxer briefs for men and boys. We also make insanely soft tees and snapback hats. We are official licensees of MGM for the Rocky and Creed films, and are now licensees of the WWE. Competing every day. Entrepreneurship is about the fight -- the process of getting your idea, product and service in the hands of consumers and building a company along the way. It’s a four-quarter game with ups and downs, but my take on entrepreneurship is about the grit, fortitude and desire to reach my goal, sometimes at all costs. Compete. The men’s underwear market is stale and boring. Some of the new brands are recycling the same themes but deliver a product that is uninspiring. As a men’s underwear consumer, there was absolutely nothing speaking to me in the market. Designs were boring, ads were boring and there’s been little innovation, especially on the design side. Apparel is a crowded space and with the retraction in retail, it’s becoming far more difficult to build a brand exclusively online. That said, co-founder and COO Nick Ripandelli and I always felt our licenses – Rocky and now WWE – would help us rise above the noise and gain instant notice and credibility with consumers. As a lifelong entrepreneur, the hardest and yet most enjoyable time is in the early stages of a company when everything is new and there is no dataset to guide decision-making. It’s about interpreting limited and sometimes skewed data points. We’ve overcome these early-stage challenges by understanding our customers through direct interaction -- my partners and I answer customer calls/emails, we respond directly on social media and we’re constantly testing things beyond simple a/b test -- like running contests on social media to get instant feedback from our followers. I am a data geek. I love data because it’s hard to cheat the old adage “numbers never lie”. However, I would put my team’s collective gut right up there with my bias towards using data for decision-making. I like sports metaphors so this is one I like for me: for many quarterbacks who successfully make the jump from college to the NFL, the game slows down for them. They understand the game so much better and can see a lot more in that very short window of time before they have to do something with the ball. For me, I can see a lot more now than I used to -- like where to spend my energy, identifying big things vs small things, being able to keep things simple in light of complexity. Is there a piece of advice they gave you that you can share? Pure will, drive, ambition —sometimes, they’re just not enough to make it work. If everything is too hard – product development, systems, customers, capital, etc. – then there is a point where you can fold it up. But, you hope you can get that little break, a little luck, where you can make it all happen.